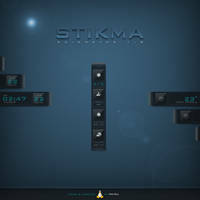 To install simply double-click on the downloaded .rmskin (note that you must have Rainmeter 1.2 or higher installed. 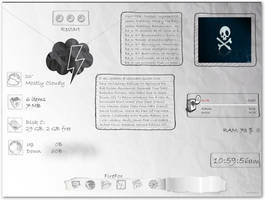 Download latest version of Rainmeter from rainmeter.net). 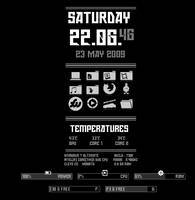 Vista Rainbar is an add-on pack for Rainmeter, which consists of an easy-to-use sidebar and over 20 stunning gadgets -- from RSS readers to weather -- to decorate your desktop. 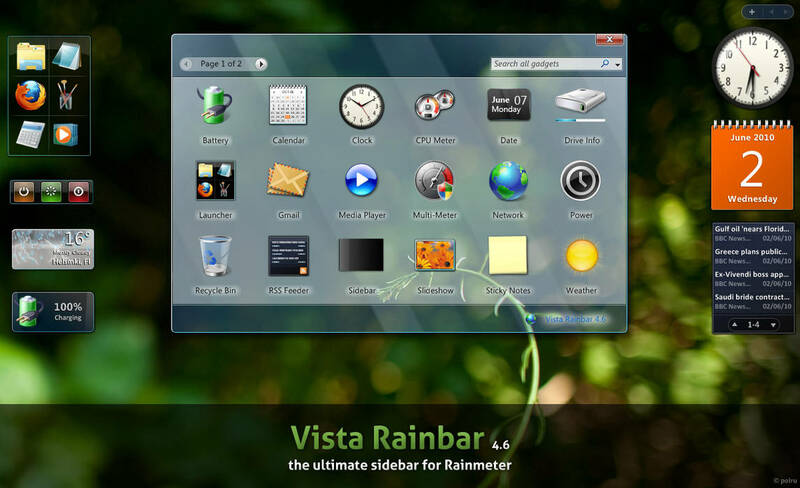 On top of all that Vista Rainbar is very light when it comes to system resources -- you get the eye-candy without the expense of valuable system resources. What a deal! 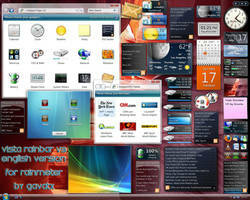 Supported on Windows XP, Vista, 7 (both 32-bit and 64-bit). Thanks to Gavatx, fediaFedia, halfwayglad, Tone94, and Oldviking. Yahoo Weather feed has changed, therefore weather skin din't work any more. Could you please fix 1.ini file? Skin 1+.ini flie is still working. 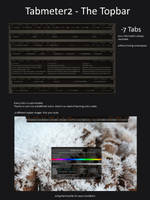 But I really want to use skin 1.ini (or 2.ini, 3.ini ). I read the forum "Change to Yahoo! 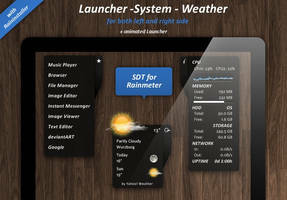 weather feed" . But I couldn't fix it by myself. Please help me!! Is this still supported? It's *exactly* what I was looking for, however, I can't seem to use any of the links on the skins themselves. For example, I cannot click the wrench icon on the weather to set my location. I can't click the arrows on the calendar to change months forward and backwards. Any assistance is appreciated! Graet thing. Wspaniała rzecz. Na razie testuję ale zapowiada się rewelacyjnie. Już teraz mogę powiedzieć - dziękuję bardzo! The weather run only at F not at C, how I can change it ? Guys whoever is reading this download this its good. My Acer Aspire One came with the Google Sidebar but now Google Ended support for it so I switched to the Vista Rainbar! I like your works, Poiru. Actually I've been using Vista Rainbar from your work since 4.6. I wonder if we can click on the Calendar small arrows to see previous or next month calendar. Thank you Poiru. Love your works. 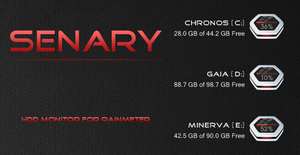 with descriptions about installation and configuring the gadgets. 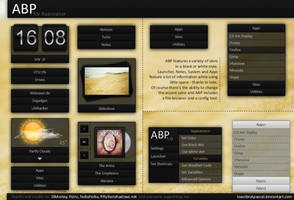 If you like this, I could create an English website like this for you, or you can use a link to a site on my server. I tried the download link with firefox - the file extension is .rmskin, and can be installed by rainstaller as you claimed! THANK YOU VERY MUCH!!! I NEEDED THIS!!! "very light when it comes to system resources"...this is what I need...very cool...thanks. 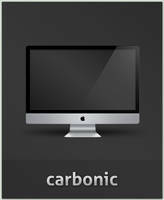 can i port it to windows 7 style and update the images? I will give you full credit. Maybe 7meter is a good name. Sure you can, but what is Windows 7 style? 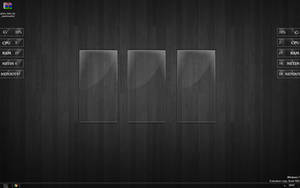 IIRC, these should match Windows 7 perfectly. first of all, the gadget gallery window is different, as the colors and window borders are different. I will also change the (c) 2006 to (c) 2009, as that was when windows 7 was released. Also, there is no sidebar in windows 7. i will make a custom gadget gallery button that is invisible until rolled over or clicked. there are a bunch of minor differences, but the main work is replacing the images and adding a custom skin and killing the sidebar. You can have the "look & feel" like in Windows 7: Click the "+" sign of the sidebar and select "Close Skin" and the sidebar will vanish. 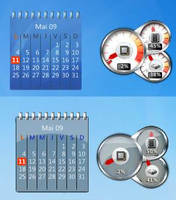 The selected gadgets will remain on your window, and you can move them on your desktop. But I thought, it should/would install the Rainbar!? 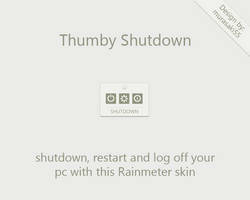 Uninstall current installation of Rainbar. 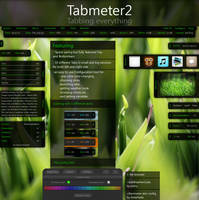 Then go to www.rainmeter.net and download the Rainmeter 1.4 beta version. After that ia installed, double-click on the .rmskin to install. What's zip code of Helsinki - and is it possible to change calendar language to finnish? I got Helsinki by updating to this new version but is it possible to change language to finnish? in calendar and weather? Sen kielen vaihtaminen on mahdollista, vaikkakin hieman työlästä. Otetaan esimerkiksi vaikka se kalenteri. - Klikkaa oikealla napilla kalenterin päältä -> Edit skin..
Kyllä, tässä pitäisi olla se koko lista: [link] (otettu Omnimosta nuo käännökset). I'm sure I'm using the right zip code and all the info it needs. Hmm.. Can you give your ZIP code so I can test? Don't worry, I already fixed it. Can you say hwen relase will be? Can you post the feed URL's? 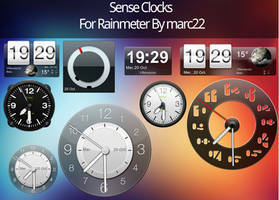 And I'll look into making a glass variant for next release. Good, but "Drive Info" Shows system flag on all drives. Will fix for next version. What are you using for the dock in the top left? 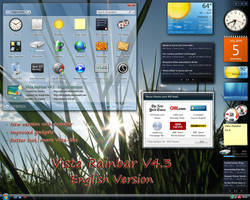 The Launcher skin of Vista Rainbar. My Weather-gadget has since today a problem, shows me fahrenheit- not Celsius! This is hot to death wow!! To real for TV hahaa. No joke I'm loving it good job poiru plus nice update!! !